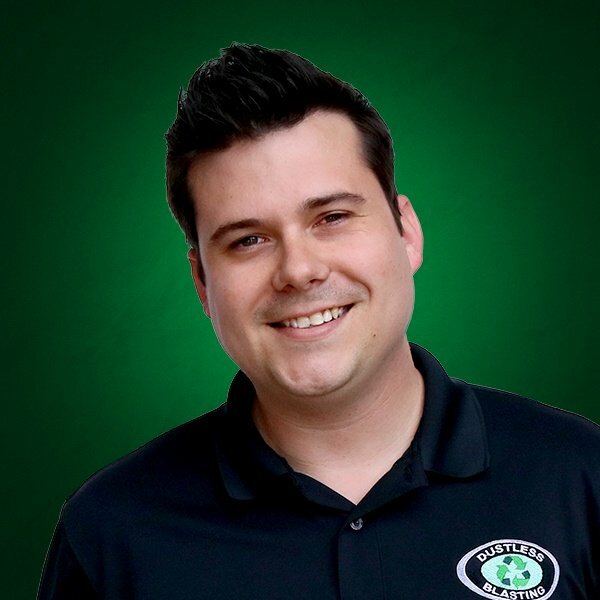 Chemical plants and petroleum refineries need maintenance just like anything else. However, in these fast paced, high production environments, they need that maintenance to be finished as quickly and efficiently as possible. Veolia is the world's largest provider of environmental solutions, specializing in reducing environmental impact and recovering valuable resources that would otherwise turn into waste. When a petroleum refinery needed the lead paint removed from one of it's large storage tanks, Veolia set out to do the job in the most economical and environmentally responsible way possible. Traditionally, lead abatement would be done with sand blasting, and would require expensive scaffolding and containment to seal in the toxic lead paint particles. 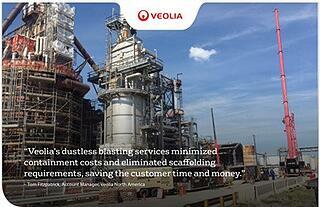 Veolia had a better solution; Dustless Blasting! The Dustless Blasting system uses environmentally neutral recycled glass abrasive mixed with water to blast away unwanted paint and rust. This makes it the perfect tool for refinery blasting. The water in the Dustless Blasting system grounds airborne paint particles, eliminating the need for complex containment. With this method, lead paint removal becomes a whole lot easier! All in all, Veolia calculated its savings to be $52,000 and 5 to 7 days! Download the Case Study, written by Veolia themselves, below!